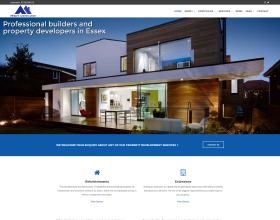 We are Essex’s Favourite Web Designers. We are here to create you a brand new website. Perhaps you need an ecommerce webshop or a brochure / gallery type site to display your services or goods. Either way we can give you what you want with truly personal and exceptional service. For your new business, it goes without saying that we can provide you with a new site. This is as well as being able to offer domain name selection, hosting, search engine optimisation (seo), flash and so much more > Web Design. Our service is designed to be exactly what you want and need we ensure its tailored to your exact business requirements. We go the extra mile to ensure you get more than you expect from Stanford-le-Hope and Essex’s favorite website design company. Web design, development, web consultancy, php coding, cybertill, website design, website development, mysql, photography, administration, ethical seo, search engine marketing, custom web development, ecommerce web development, content management system (cms) websites you control, photoshop, copy writing and digital media. We offer specialist in house photography website design ecommerce services. We ensure your site looks special and stands out from the rest while earning you money by offering your services and photos for sale online. Effective and great looking web design come as standard from us. We pride ourselves on creating beautifully simple designs that are user friendly. With our ‘update your own site’ CMS Content Management System websites, you have the ability to create a scalable solution to ensure it meets your requirements, regardless of the size of your business. 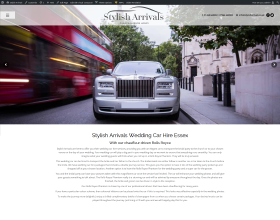 Sites that you control are becoming more popular and we include this option as a standard for our platinum business websites. Our sites all feature highly in the search engines due to the Search Engine Optimisation (SEO) work we put in to all our websites. Our graphic designers and photographer uses the most modern software including Adobe Photoshop and Fireworks to ensure your images and photos on your website are amazing and truly eye catching. In plain English, this is your own shop online! Why not call us today, so you can see how we can get your business selling online. We pride ourselves in being able to offer all these as individual options or as part of your package. Ensuring you get continuity of service from a local company that cares, ensuring you save yourself stress, as well as saving your all important time and money. If you think its expensive to hire a professional, then try hiring an amateur! We are ranked number 1 in Essex. Google launch new browser – Google Chrome. SEO project produces 10 Google top 10 ranks. Photoshop and Dreamweaver CS4 Launched. Using Flesch / Kinkaid to grade our sites. W3C Compliance affects SEO ? If you want to get in touch to discuss your idea or business needs further, give us a call for a no obligation chat on: 07743 853976 or 01375 460094 or simply email us. You may know exactly what you need from us, it may include website design and development, search engine optimisation, flash design, web photography, logo brand development, or all of these skills. So In Summary What Are You About ? Delicious Webdesign is a modern website design company that can offer you the full web services no matter what your requirements. We are great at creating logos, banners, and we excel at promoting your website using SEO and SEM (search engine optimisation and search engine marketing). Very basically this means once your website is completed we don’t leave you alone and can help you promote it on the Internet and in the various search engines. We can create and coordinate online advertising campaigns via Google Adwords or Microsoft Adcenter for your Pay-per-click (PPC) projects. We have the talent and technologies to create beautiful, functional and cost-effective websites for your business that aren’t designed to win website design awards but are designed to earn your company money by attracting customers and converting those website visitors to real clients. So What Makes For A Good Web Site? Easy to find what you want – Nearly all website visitors don’t read web pages, they simply look over it and focus on something that catches their eye – if they actually find something that catches their attentions they will then hopefully digest that bit of information. Easy to follow Navigation – Some website designer companies simply want to showcase their web design skills they have have just learned or are competent in a websites navigation should be plain and simple and easy to use. Quality Photos and Images – Professional photos and graphics that directly relate to the services being promoted or relate to the image that you want your company to convey. Search Engine Friendly (SEO) – The website should be created from the ground up with the search engines in mind, as the search engines will eventually deliver the majority of the website visitors and as such the majority of the business to the website. Putting it all together – We believe in Holistic design meaning we don neglect any of the above aspects and treat them as a whole. Making websites is easy, doing it so that the website looks good, works perfectly in all browsers and is attractive to the search engines is something we do and we do it well.